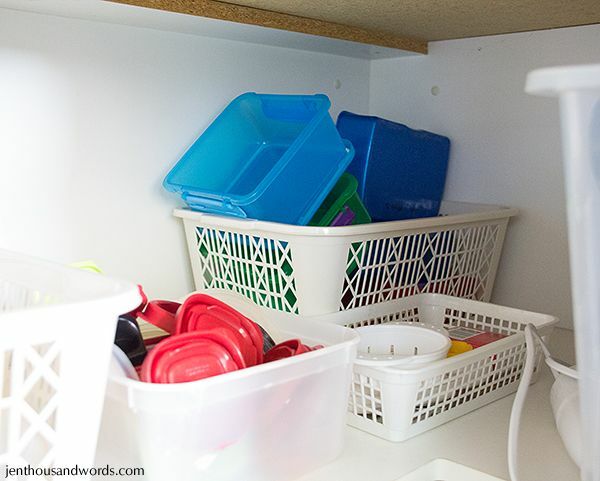 Susan (my sister) asked: "Do you have any clever ideas on how to organize a Tupperware cupboard? 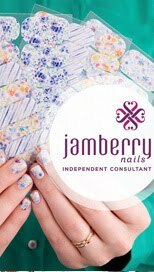 Ours is a MESS and it’s making me crazy! Help??" 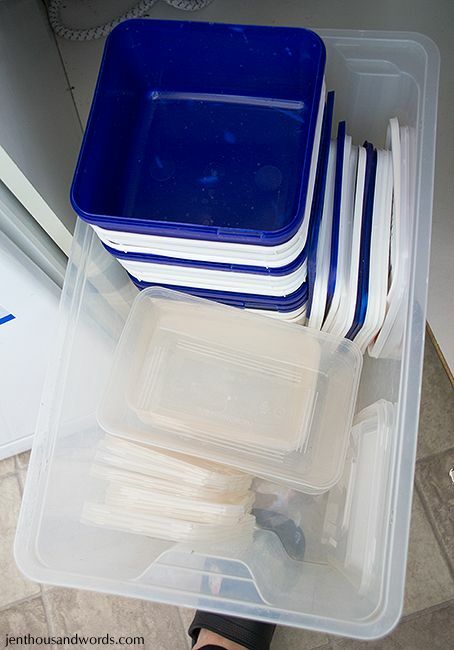 There is no one magic answer, so I thought I'd just show how I store our plastic containers as it seems to work for me. 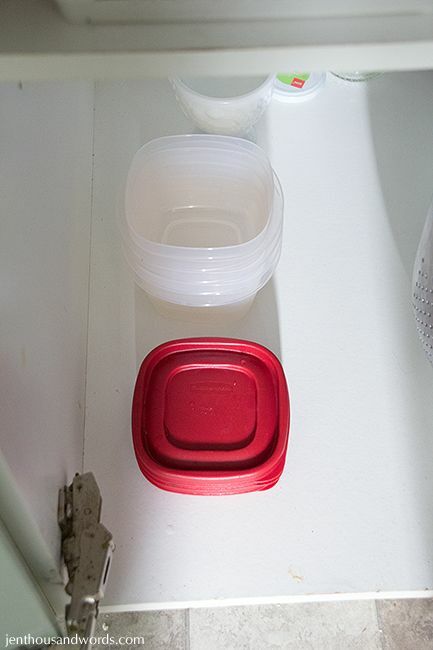 I'm actually shocked at how many plastic containers we have - I only really realised when I was taking these photos. 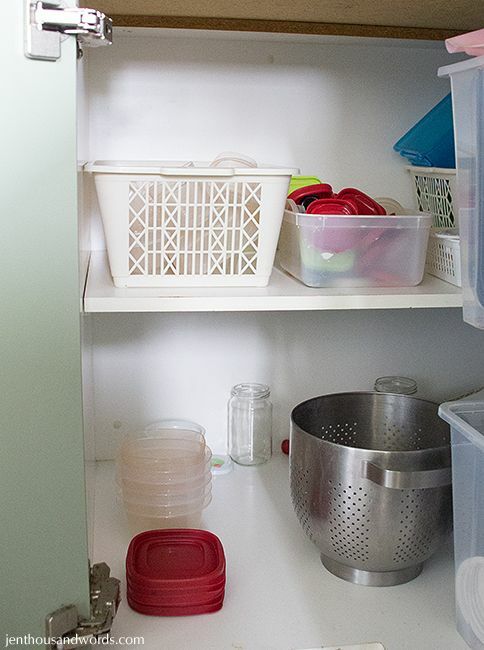 Thankfully our kitchen has plenty of storage space. 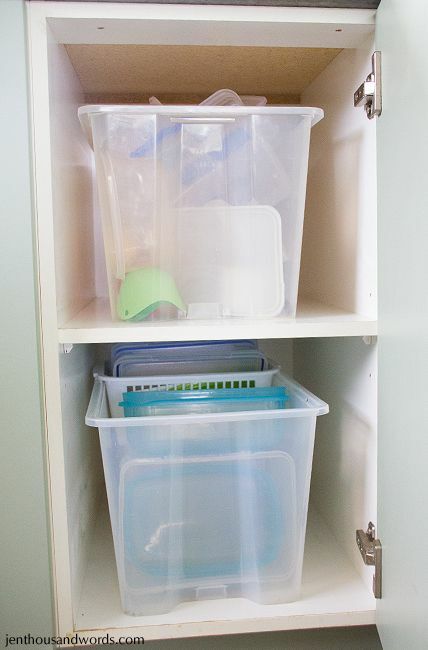 In an end unit, next to the pantry, I have two of my favourite big plastic containers from Ikea (discontinued). 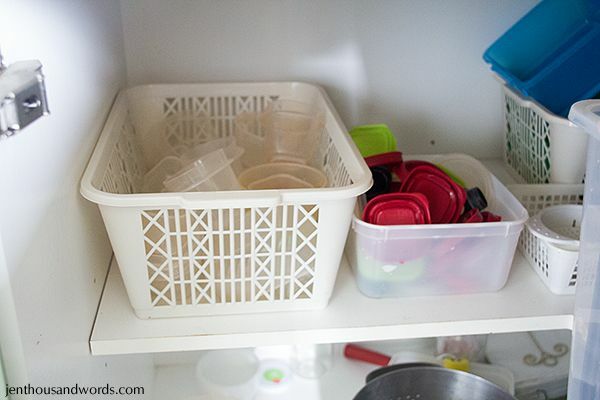 And another Ikea tub on the bottom shelf which holds take-out containers and their lids, and ice-cream containers and their lids. I keep them because they are great for organising. Then in the other corner cupboard I have even more! The lids (and the lids for our old stainless steel water bottles) go in an ice cream tub next to the basket. 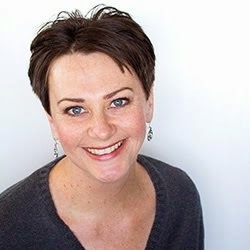 Store like with like - whether it is function or size. 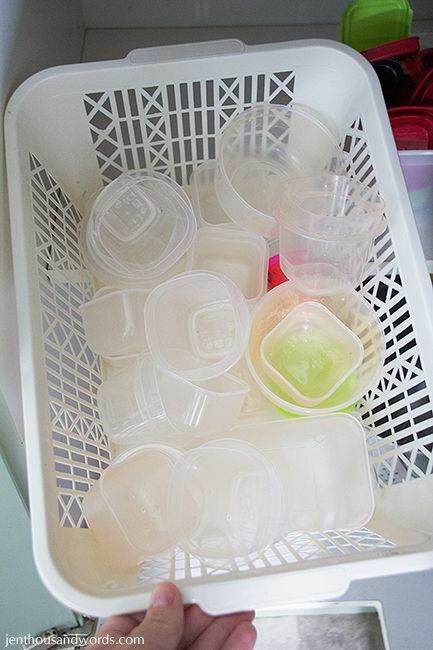 Store the lids in a separate basket or container. 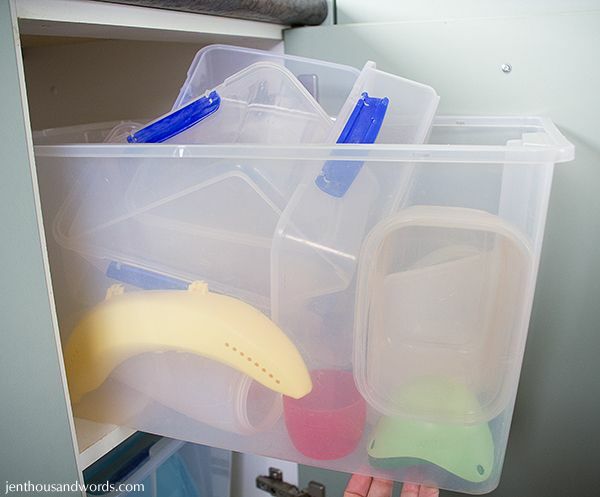 Use bigger plastic containers to act like drawers in kitchen cabinets so nothing gets lost at the back - you can pull the whole thing out and have a rummage. 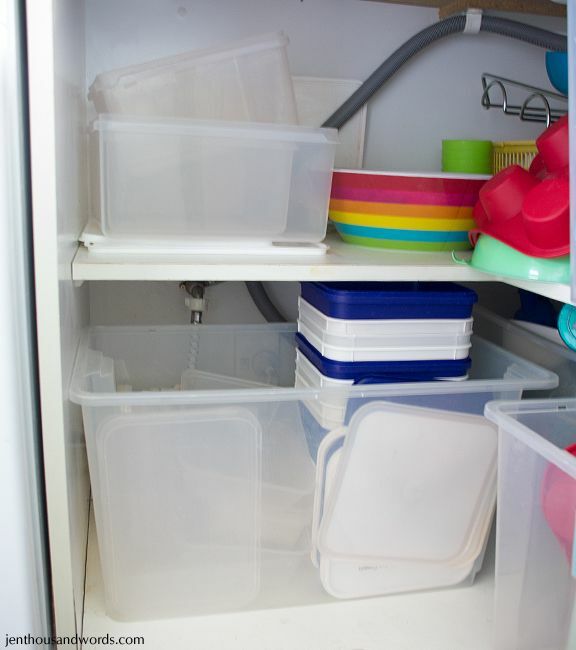 Regularly sort through your containers, matching up lids, and remove any containers that you don't use or which don't have lids, or lids which don't have container. 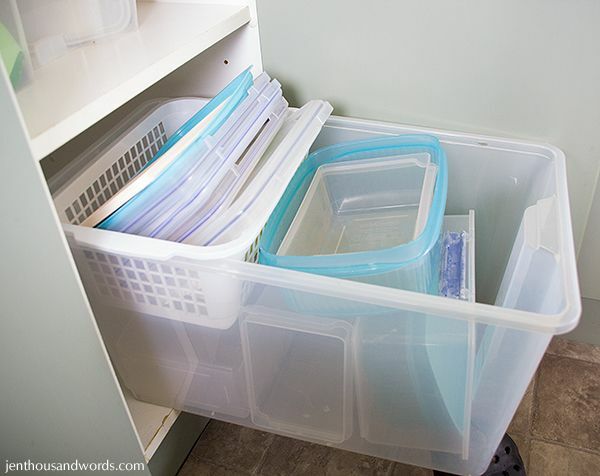 Toss the lids but don't throw the containers away - use them in drawers to organise goodies.